On Thursday I checked out Batman v Superman: Dawn of Justice (2016) with my broworker Philippe. I'm more of a Marvel fan myself, preferring their superhero flicks over any DC Comics vehicle, save for Christopher Nolan's Batman trilogy, but I have to admit that the BvS trailer looked quite promising. Daily Planet journalist Clark Kent (Henry Cavill), aka Superman, sees Batman as a threat. Billionaire Bruce Wayne (Ben Affleck), aka Batman, on his part sees Superman as a threat. 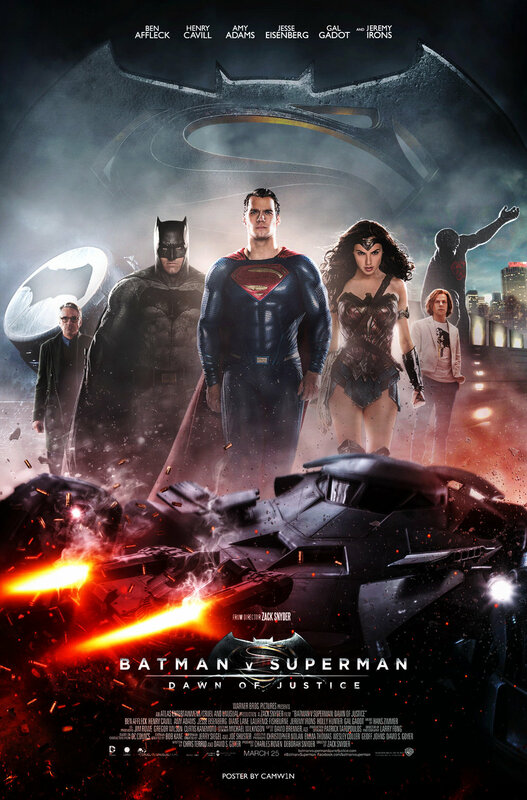 When LexCorp mogul Lex Luthor (Jesse Eisenberg) orchestrates a bombing at a congressional hearing where the Son of Krypton is being questioned, Batman creates a powerful exoskeleton and Kryptonite weaponry to take him on. With two iconic crimefighters pitted against each other, it's remarkable how Eisenberg's Lex Luthor stole the show in Batman v Superman.